Nobody wants their kids to smoke. Dealers often see underage kids as customers, making it easier for children to get hooked on smoking. In fact, young smokers are more likely to be offered illegal tobacco than adults. A survey found 55% of underage smokers aged 14 and 15 buy illegal tobacco and 73% say they have been offered it. You might think your local seller can be trusted, but illegal tobacco has strong links to both low-level local criminals and large-scale organised crime groups from abroad. Those gangs see UK smokers as a target to make money. 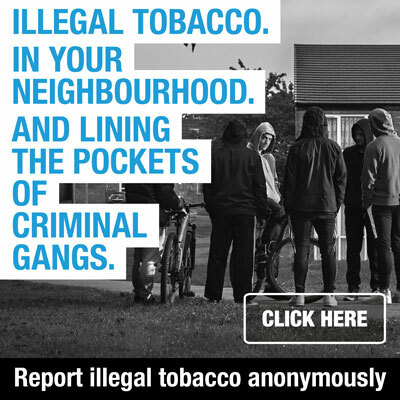 That means people buying illegal tobacco – either for their own use or to sell on – are lining criminals’ pockets and funding drugs, loan sharking, alcohol smuggling and money laundering. It also brings criminals into local neighbourhoods to supply local sellers. Investigations by HMRC have found people at the top supplying illegal tobacco are at the centre of criminal networks evading millions in tax ‎to line their own pockets. Fag houses will sell to anyone, putting kids and vulnerable people in risky situations around criminals closely linked to drugs and organised crime. 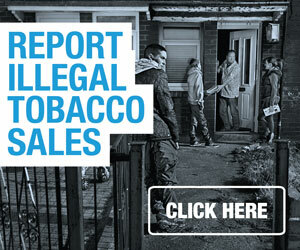 It’s common to get reports of kids in school unforms buying cigarettes from tab houses in areas around the North East.